Melissa Pluta received her Master’s degree from Temple University in 2011. She has worked as a library research assistant for LARS Research Institute since 2010. She utilizes psychological and medical library search databases to conduct literature reviews on a variety of topics related to the Institute’s core research projects. 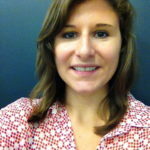 Melissa is a licensed professional counselor and enjoys conducting therapy with her adolescent and young adult clients. In her free time, Melissa enjoys sampling craft beer with her husband and hiking with her dog.